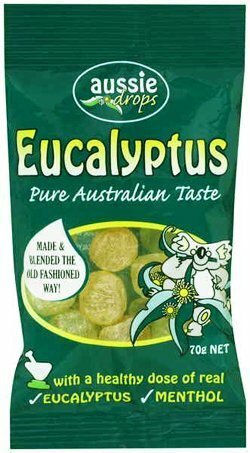 Made the old traditional way, with a healthy dose of eucalyptus and menthol! Soothes a sore throat and freshens breath. Sugar, Wheat Glucose Syrup, Citric Acid (E330), Eucalyptus Oil, Menthol. I ordered quite a few packs of these and they just taste fanstastic, 100% will be buying these again when i run out! Used these when I had sinusitis and they were the only thing that really eased the pain. Also great for sore throats and when you've got blocked nose.